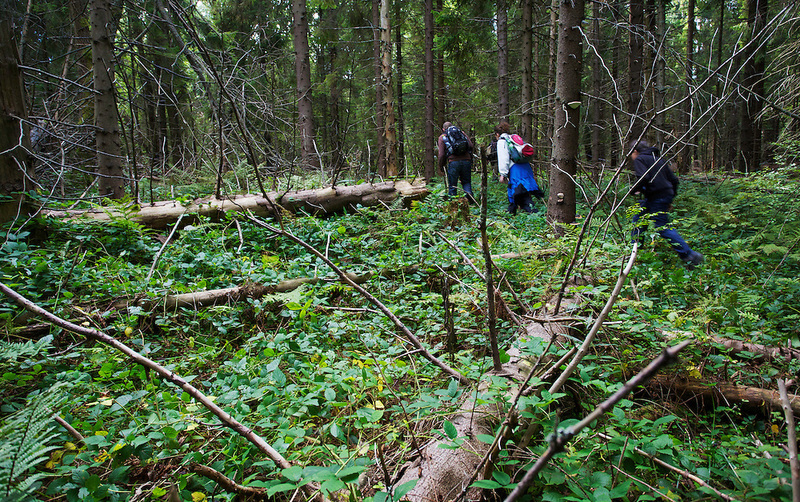 Hikers in Bieszczady National Park. After clear-cutting this part of the park around WW I & WW II which was naturally stocked with Common beech (Fagus sylvatica), it was reforested with fast growing spruce (Picea sp.). Bukowiec, Poland.